This is a sponsored conversation written by me on behalf of The J.M. Smucker Company. The opinions and text are all mine. 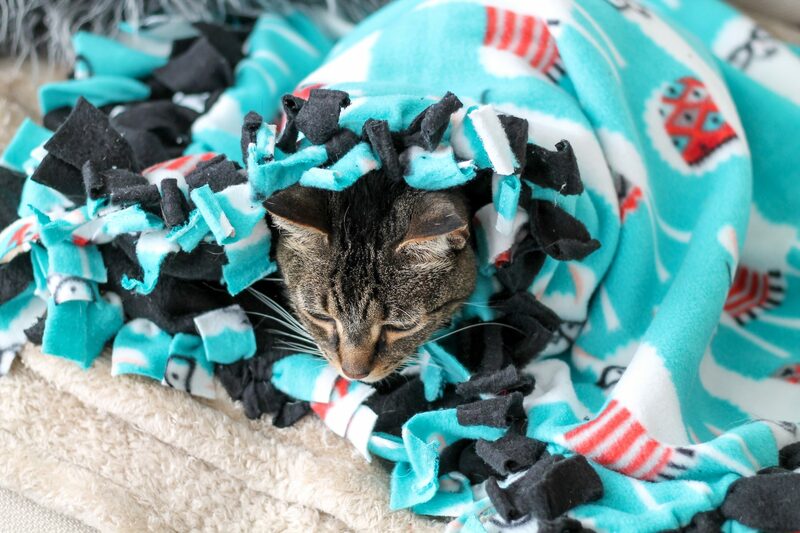 Keep scrolling to see 5 Fun Ways to Pamper Your Cats! 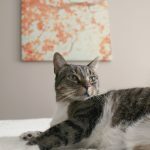 If you’re a loyal reader to this blog you’ll know that in our house we love our pets! We have three rescue cats Mason, Cubby, and Willow all who were adopted from the Michigan Humane Society. These three lovely ladies are so important to us, and we love spoiling them! 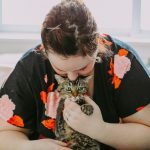 But, don’t worry – pampering your cats doesn’t have to be costly, we’re going to share a few of our fun and thrifty ideas below! One of the easiest ways to pamper your cat is to switch things up a bit! 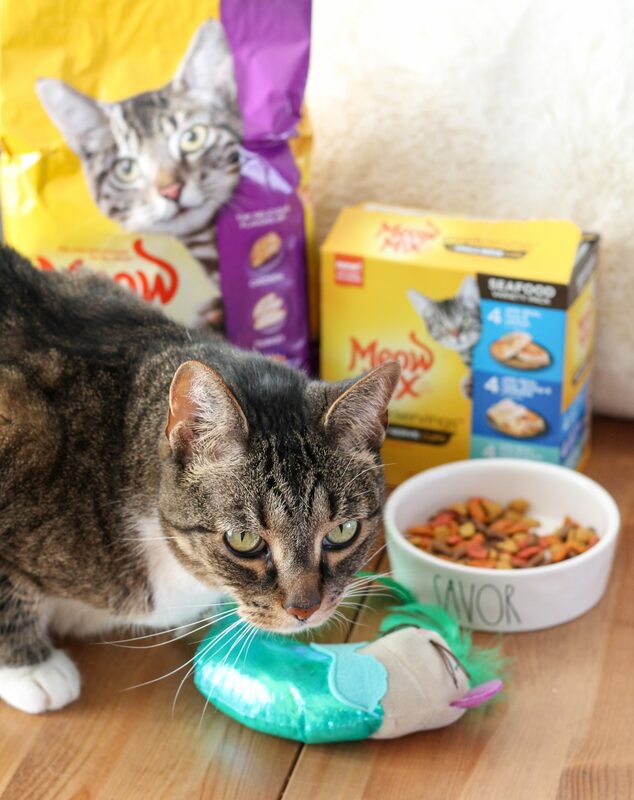 We’ve been loving the combination of Meow Mix® Simple ServingsTM and Meow Mix® Original Choice Dry Cat Food. 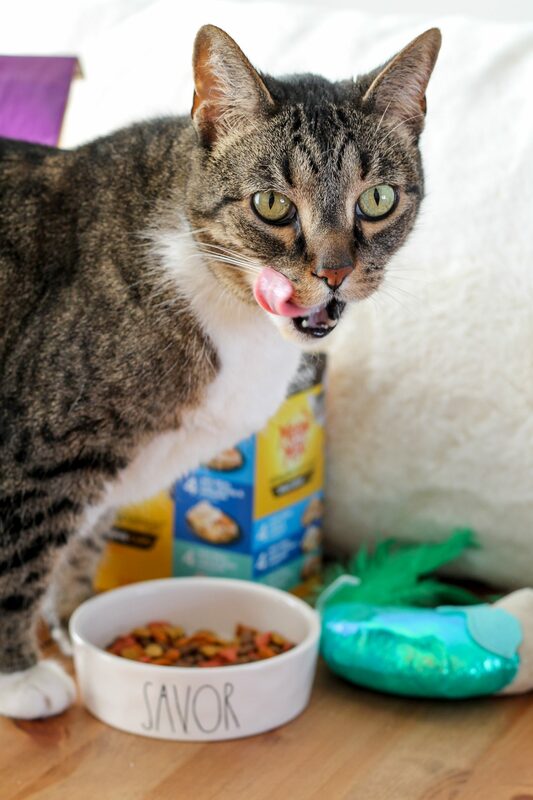 There are so many flavors available that the combinations are pretty much endless, and our cats love that they’re out of their “cat food rut” of the same-ol’ same-ol’ food. 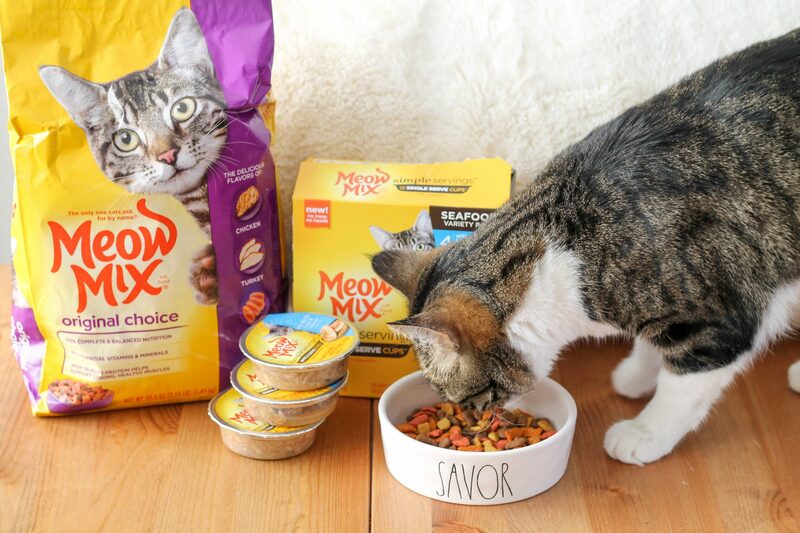 Meow Mix cat food has the perfect mix of real poultry and seafood flavors, which are both tastes and flavors that cats love! We pick up our cat food right at Meijer while grocery shopping, easy-peasy! And with the Meow Mix Simple Servings there is no mess and no leftovers, who doesn’t love that? 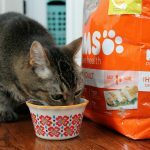 You can serve Meow Mix Simple Servings on their own or mixed with dry food! 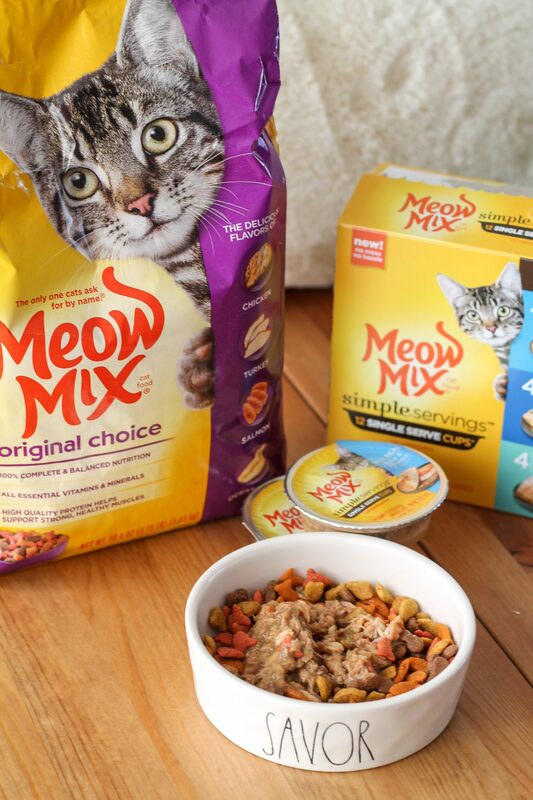 If you mix things up with Meow Mix your cat will go from bored to smorgasbord! Mason loves it! And don’t worry – your eyes aren’t playing tricks on you, two of our cats look nearly identical! Another easy way to pamper your cat is to pick up a few new toys! 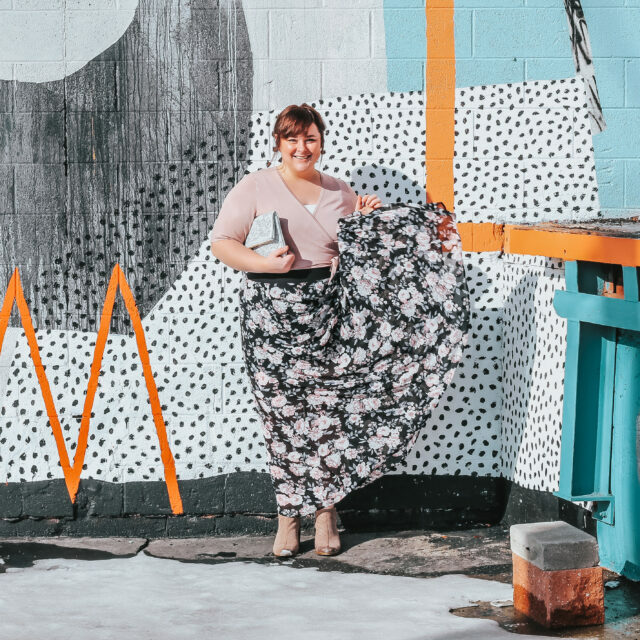 You can even DIY them if you’re feeling up to it. Most pet stores have inexpensive options like mice or catnip which are both crowd pleasers! Carve out some snuggle time for you and your cat. Getting cozy and showing them some love will be good for you both. Cats are great for calming our emotions, too! Our cats are always around on the couch at night to get their snuggle time in, and it’s nice for our kiddos to have a buddy to watch tv with! Our cats absolutely lllooovvveee being brushed. This is a free way to show them some love daily (besides the cost of the brush 😉 ). And the best part is this takes just minutes so it’s something that even the busiest pet parent can squeeze time in for. 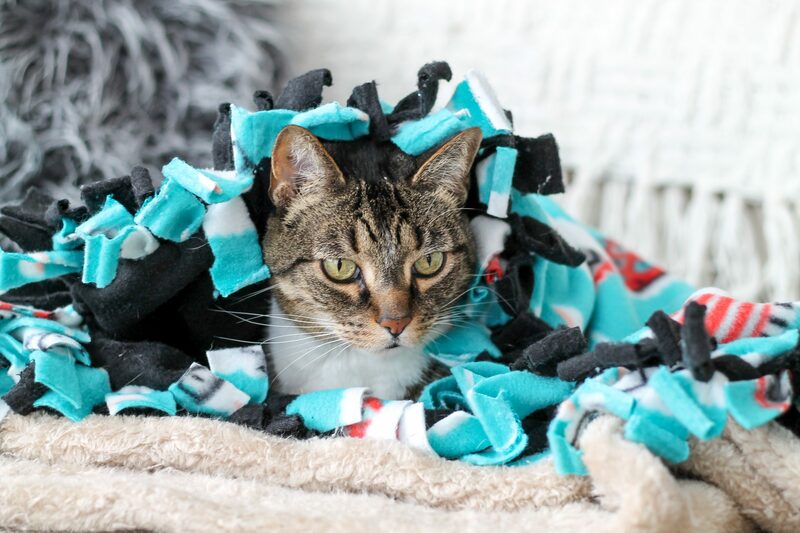 Something I love making for my cats are DIY Fleece Tie Blankets. 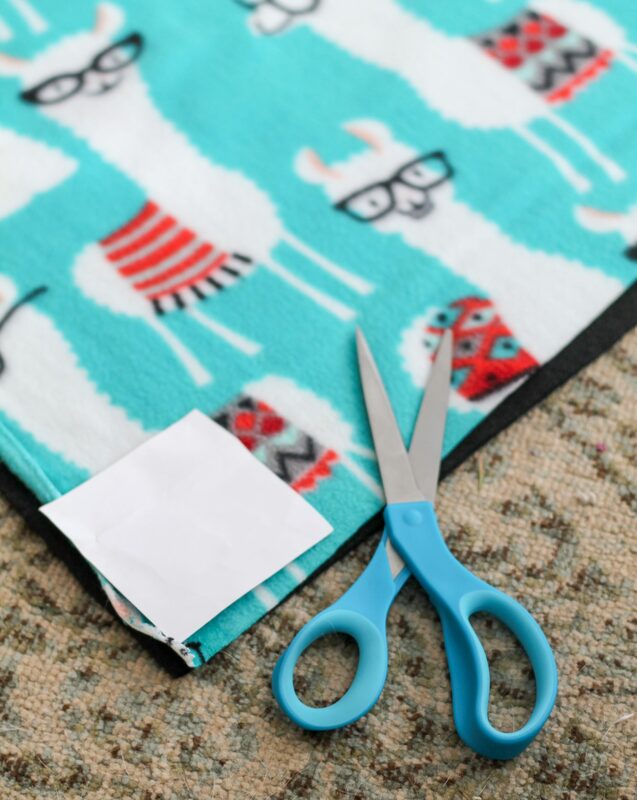 It’s a simple and easy project because all it requires is two yards of fleece, scissors, and a 4 inch x 4 inch square piece of paper! Want to see how it’s done? Let’s go! Lay both pieces of your fabric on top of each other and Use your 4×4 square piece of paper as a guide and cut out the corners of the blanket. 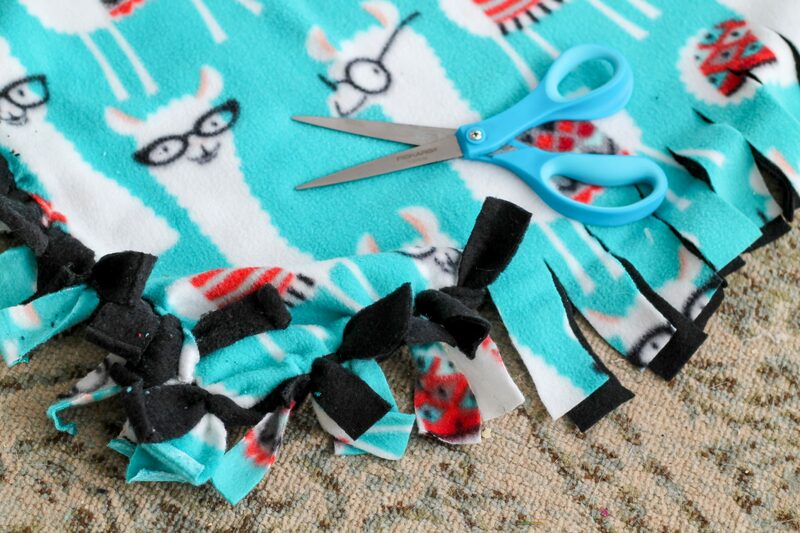 When you’re done, make 1″- 1 1/2″ cuts around the entire blanket with your scissors. An easy way to do this is to just cut up until the line from the square you removed, and continue measuring the pieces up against each other to ensure they’re even. Then, simply grab the top and bottom fleece pieces for each section, and tie them together! 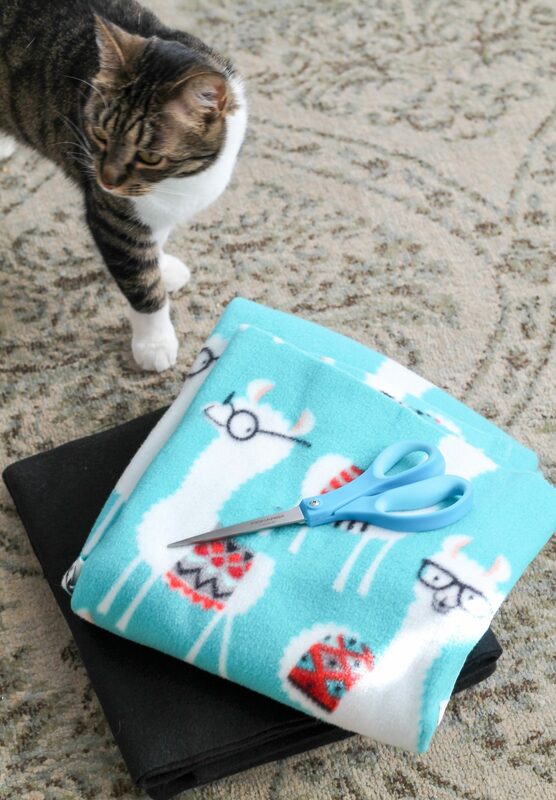 Just keep tying until the blanket is complete, and hand it over to your cat! Our cats absolutely love these and we put them all around the house so they’ll have a cozy spot to snuggle up after getting a belly full of food. So tell me, do you have cats? If so, how do you pamper and show them love every day? 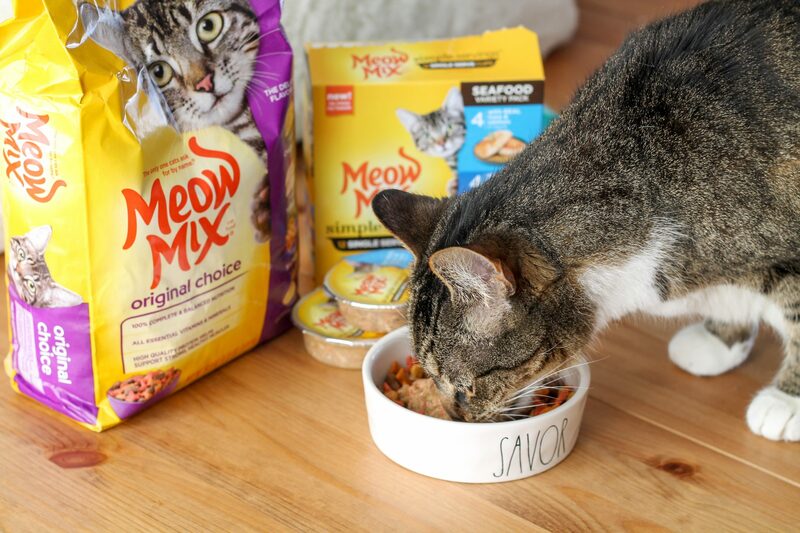 If you’re looking to treat your cat and get them out of their cat food rut, be sure to check out Meow Mix products at Meijer! I’ll include the link to an awesome coupon below so you can save, too! COUPON: Save 30% off any 2 Meow Mix cat food or treat products at Meijer through1/27 with this mPerks digital coupon. 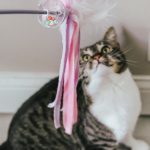 What We Feed Our Three Cats + Tips! haha. You have a great way to pamper cats. It useful for me.